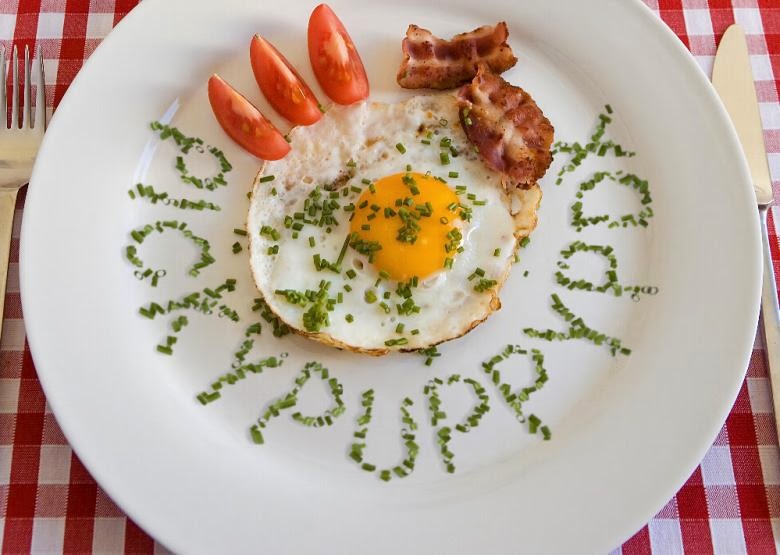 pickypuppy PDX: Have you been to Grassa? Let me just start this off by saying I'm not normally a pasta lover. 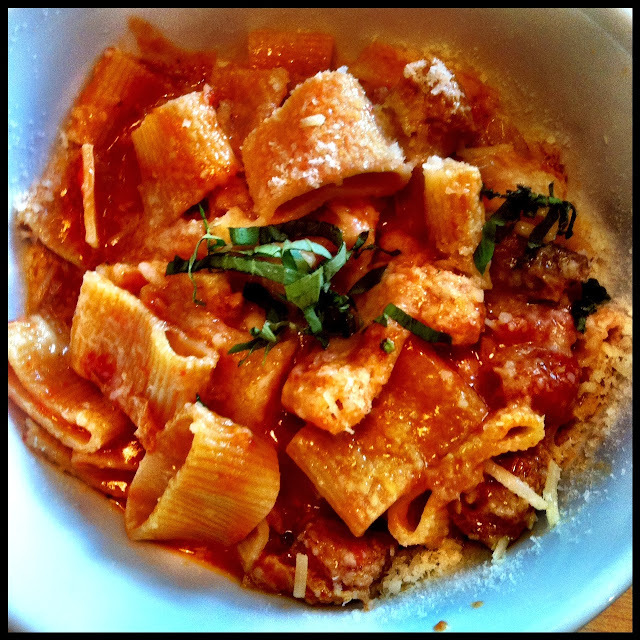 I take that back, I love pasta, but only when it is done well, which unfortunately doesn't happen often when ordering pasta from a restaurant. I've unfortunately been to many a fancy Italian restaurant where the pasta tasted like a plate of bland slop from the Olive Garden. Thankfully for the pasta lovers in Portland, Rick Gencarelli, the mastermind behind much loved Lardo has opened Grassa, right next door to Lardo in the Pearl. 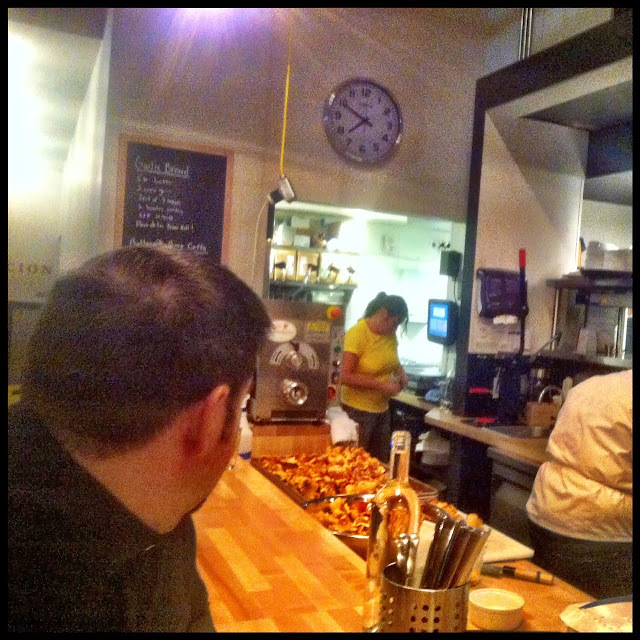 It has a very cool vibe, almost like you're in a secret Italian kitchen in the center of a warehouse. There's a giant eagle painted on the wall, and rock pumping through the restaurant. It's no frills, you order when you walk in from a large menu on the wall, there are a couple booths, but most seating is at communal tables, which make for great people watching. You can also sit at the bar overlooking the open kitchen - my friend J and I grabbed a seat at the bar and watched a strange ritual occur where one of the chefs was scrubbing that large tray of mushrooms with a dry cloth. Not being mushroom eaters, neither of us could figure out what was being done, but it was interesting to watch. T had Mezze Rigatoni, Sunday Pork Ragu. This was the only disappointment of the evening. I found it to be bland and boring, but T LOVES bland and boring, so he really enjoyed it. 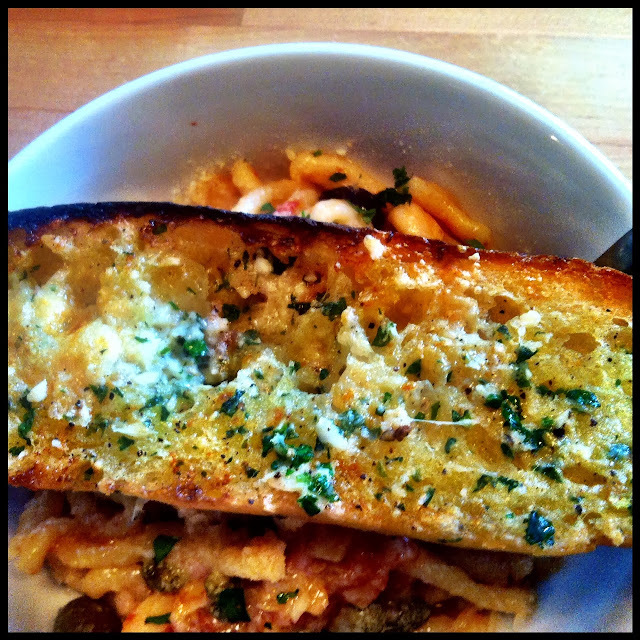 I had the Strozzapreti. It was phenomenal. It was so good that I didn't want it to be over, and I've been thinking about it constantly since I ate it. It was a very light sauce with chilies and oven dried tomatoes, peppered with capers, smoked green and calamata olives and topped with a couple of slender white anchovies. 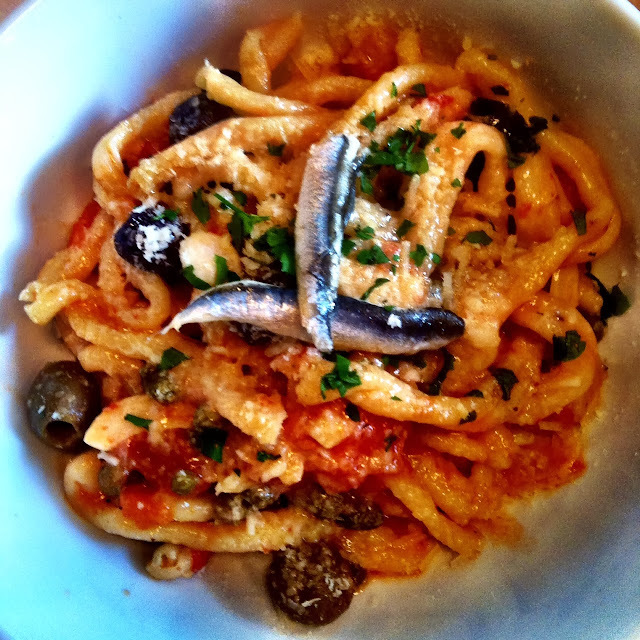 I do NOT care for anchovies, but they totally worked in this dish, and did not lend a fishy taste at all. The Briny taste of the olives was perfectly paired with the smoked flavor, and the crispness of the capers made the dish divine. 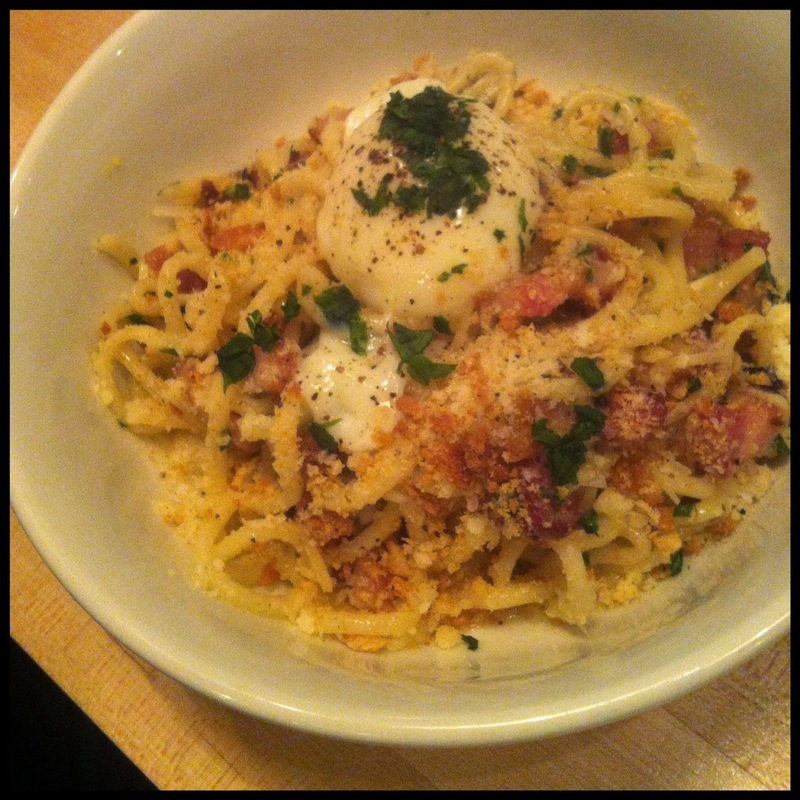 J had the Carbonara, which unfortunately did not photograph well, but was also excellent. Instead of the traditional bacon, Grassa used pork belly. It was cheesy, pork-y, peppery-y, and most importantly, had a delicious egg on top. I want to go back to Grassa a million times. I would say I want to try everything on the menu, but really I would be happy to just have the Strozzapreti over and over (I've been twice now and had it both times). 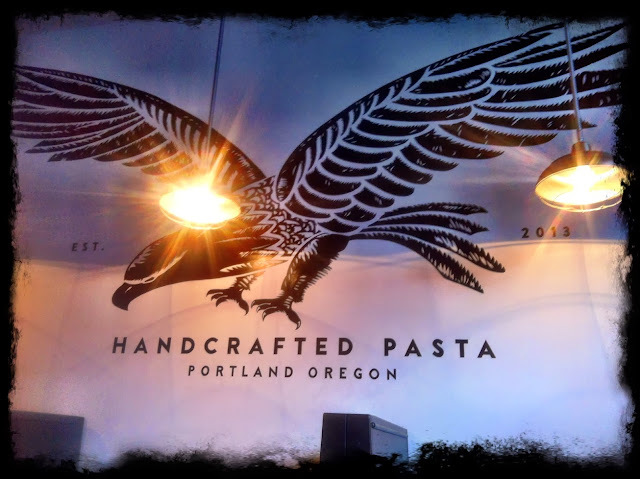 As with most restaurants in Portland, Grassa is big on seasonal ingredients, so I have a feeling a time will come when the Strozzapreti has been replaced by a seasonal offering, when that day comes, I'll try something else. If you'd like to check out Grassa for yourself, their website is www.grassapdx.com and they're located at 1205 SW Washington St in Portland. Grassa is open 11:00am-10:00pm seven days per week.